Cities are key to the sustainable future of our planet and great changes are necessary to address climate change and social inequalities. 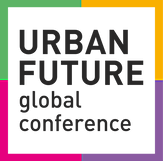 The URBAN FUTURE Global Conference gathers CityChangers from all over the world, bringing together individuals who are involved in driving change towards more sustainable cities. The Conference will welcome 3,000 attendees from 400 cities, encouraging attendance from businesses, real estate professionals, NGOs, cities, startups, urban planners and government officials. In 2019 the event will be held in Oslo, the European Green Capital 2019. Attend the Conference to engage with the themes of urban mobility, green business and built environment. To see the programme, which includes a variety of sessions on mobility, click here.